Enjoy yummy food this at Peddlers, and this time it’s all vegan with Veg Out! 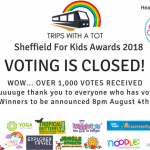 Yes, families are welcome and I especially recommend going on Saturday afternoons where you’ll find lots of kids tucking into some nice street food. Go Ice Skating in Leeds at Ice Cube 2018, and enjoy wintry stalls, rides, cafe and more. 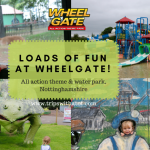 Families will love attractions such as North Pole Starflyer, the Ice Jet, the Ice Palace plus the new Ice Slide along with various other winter themed rides for children of all ages. 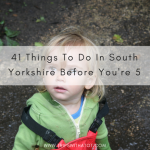 Make a day trip of it as there’s LOTS to do in Leeds for kids; read this for top 7 things to do in Leeds. Play family board games at St Timothy’s cafe on Saturday, 2-4:30pm. £1 per player, snacks and drinks available. Watch Don’t Dribble on The Dragon at The Civic, Barnsley on Sunday afternoon! Tickets £8, recommended 3+. St Timothy’s and Little Sheffield’s Community Cinema will be showing Lego Ninjago Movie on Sunday from 2pm, tickets are £2, 2’s under free. Reserve a place! Tuck in to a scrummy children’s afternoon tea at Lottie’s Coffee Lounge in Tropical Butterfly House, wildlife and falconry centre all weekend from 11am-3pm. 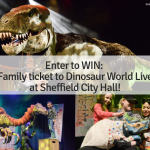 Explore the enchanted wood all weekend at a family free show, the Enchanted Wood Family Show at National Science and Media Museum in Bradford is FREE Saturday and Sunday at 11, 12:30, 2pm and 3:30pm and is 20 mins long. Fancy something different? Watch Moana or Tangled this weekend at Moonlight Drive-in Cinema at Diggerland in Castleford. Try the cinema. 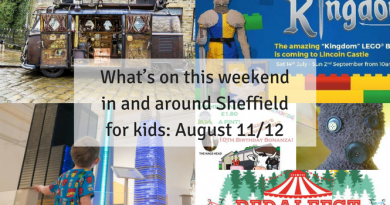 Light Cinema Sheffield and Vue Sheffield at Meadowhall both have family showings on weekends. 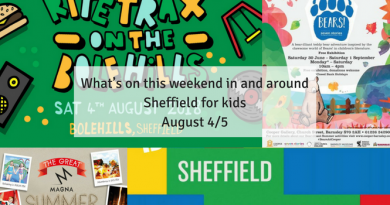 Mini mornings at Vue Sheffield is at 10am on Saturdays, and Light Cinema have family AM screenings all weekend. This week, at Light Cinema it is Ferdinand at 9:50am, and at Vue it’s My Little Pony: The Movie. 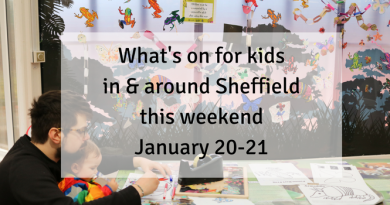 The Hepworth Gallery in Wakefield have free family art activities on weekends, plus Explore & Draw totes. Try Art Pods on Saturdays or Bright Light Sculptures on Sundays. We really like it, plus the cafe is lovely, it’s free to go inside, and there’s a playground outside. 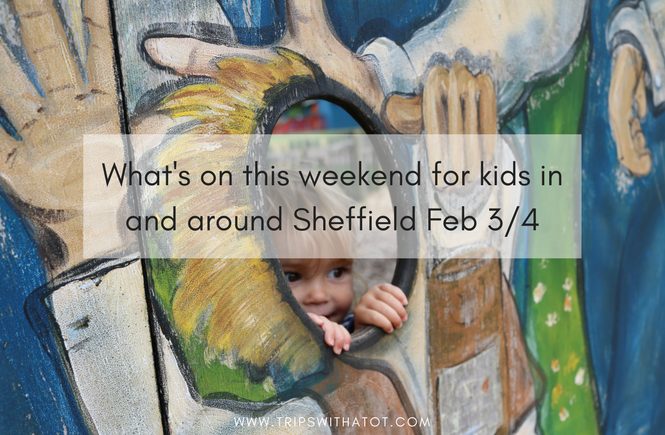 There’s lots to do in Wakefield, like National Coal Mining Museum, room on the broom trail, Wakefield museum. 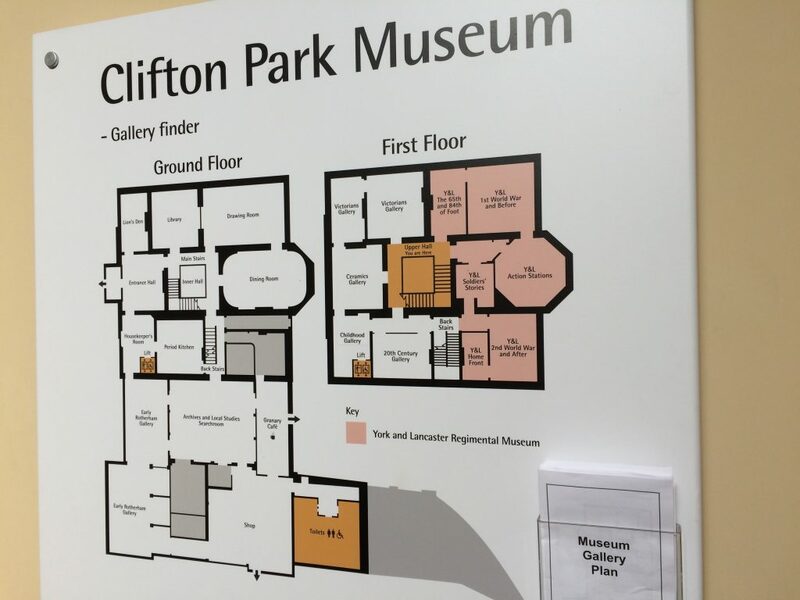 Choose a really fun museum to go and explore! 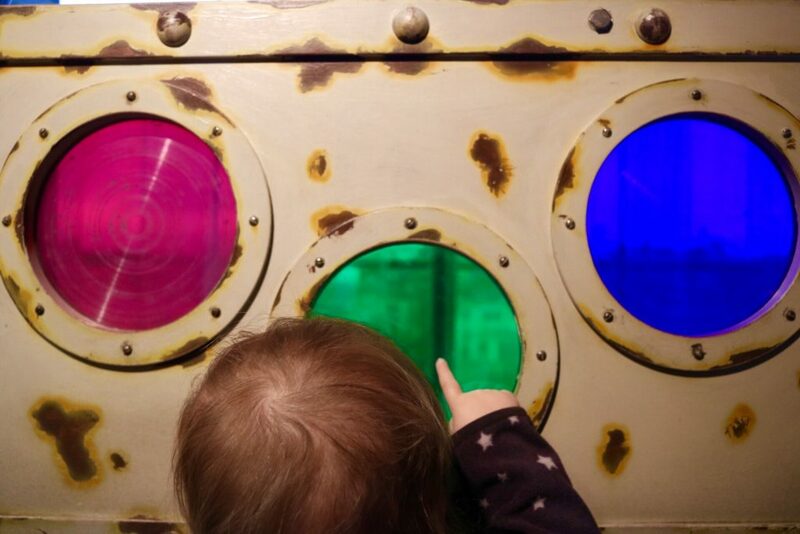 There’s lots of free options, too, see the 12 Best fun and interactive museums for toddler guide. 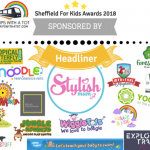 There’s a new soft play centre in Sheffield, Medieval Mayhem opened on Tuesday, 1st February. Why not go and have fun? Treat you & your family to a meal out. 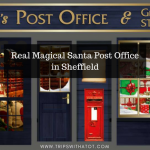 These 22+ family friendly places to eat in Sheffield has lots of options. Try the free adventure playground and see the pit ponies at National Coal Mining Museum For England. Free admission. Take a picnic & enjoy the nature trail. It’s free admission to Rufford Abbey Country Park just on the edge of Sherwood Forest. 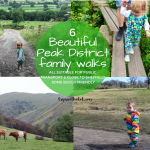 Pram friendly, dog friendly and a beautiful day outdoors. Visit the lovely English town of Bakewell in the Peak District, or find the hidden playground at Graves Park in Sheffield. 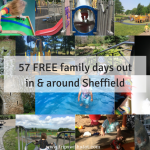 Do the easy going trail at Forge Dam to Endcliffe Park, or head up to Mayfield Alpacas to see the animals. For more animals, Aston Springs Farm is lovely and has more than just animals like an indoor play area and pizza restaurant, plus paint a pot studio. 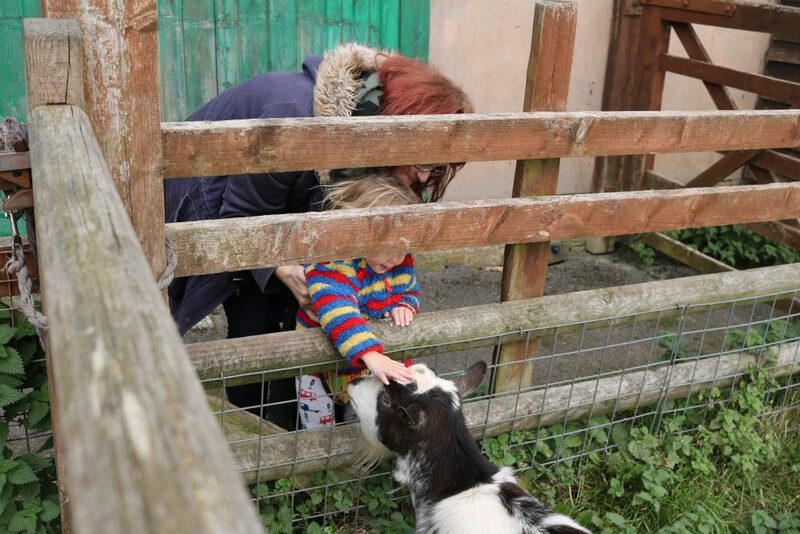 Or heeley city farm is free and has a wonderful cafe. Have a wonderful weekend whatever the weather! Don’t forget to subscribe to the newsletter for free to get your Friday morning ideas.